There’s nothing like the feeling of fresh air, the beating sun and rough rock under chalked hands. But you don’t have to be Alex Honnold to enjoy some of the best crags in the world. Whether you want to jet overseas or stay put near your hometown, odds are there’s a good fit for you in one of these seven best beginner places to rock climb around the world. Don’t let its reputation for challenging sport climbing fool you. Frankenjura has over 8,000 established routes, including nearly 300 graded under 5.9. Known for its pocketed limestone and variety of route lengths, there’s a little something for everyone in this land of crags and picture-perfect forests. Beginners can fool around, build up technique and pick up some knowledge by watching the experts go hard on their down time. 6. Red River Gorge, Kentucky, U.S. Some of the most popular climbing spots in the country aren’t necessarily the best for beginners. The East Coast Gunks, for example, is filled with trad routes, many of which are multi-pitch. Seneca Rocks has a bit of sport climbing, but is still made up of almost solely traditional routes. 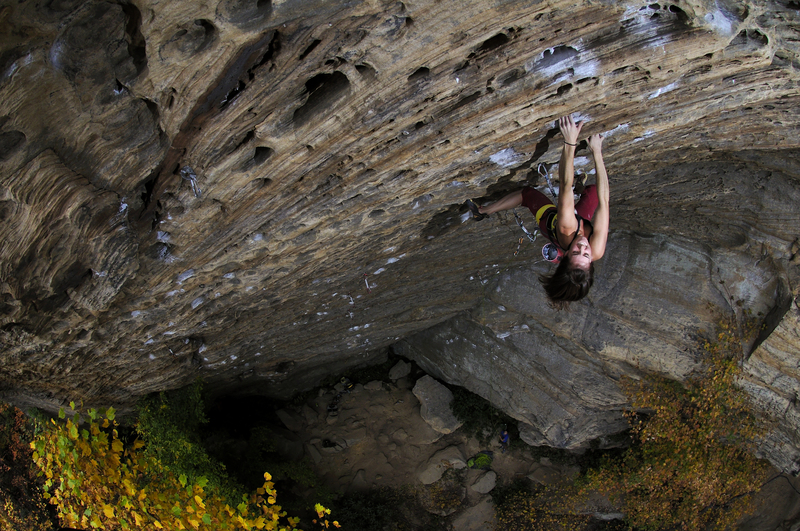 Red River Gorge, however is about 2/3 sport climbing. The area saw a surge of traffic in the ’90s, which was when many of the bolts were put into place and continued to grow. While it’s a safe bet that newbies will run into some serious climbers at the Red, every weekend during the on-seasons the place is packed with a wide variety of levels, beginners included. Wye Creek sits just outside of Queenstown, the “adventure capital of the world,” and is home to an annual climbing festival each January. While mostly sport, Wye Creek offers a gigantic bang for its buck. Set on a cliff overlooking a bright blue, glacier-fed lake, even a short and simple climb feels like you’re on top of the world. The climbs are satisfying, and doable for beginners, but nothing beats the view. 4. Boulder Canyon, Colorado, U.S.
There’a reason that Boulder breeds so many serious climbers. The state offers an abundance of climbing options, meaning they’ve got a fair share of easier routes mixed in with the more challenging ones. Boulder Canyon features over 400 routes graded 5.9 and below, not to mention nearly 200 spots to set up a toprope anchor, for those not yet comfortable with sport or trad. Plus, it doesn’t hurt to kick back and enjoy Boulder’s killer beer scene after a hard day of climbing. For those who are new to the sport, Railay, Thailand offers one of the most exotic places that still has a fair share of beginner routes. The pocket of paradise, accessible only by boat, features soaring, dramatic cliffs over the sparkling, blue water that surrounds the tiny island. With thousands of routes to choose from, a beginner is bound to find more than a few right up their alley. To make matters easier for climbers not yet comfortable with trad, nearly half of the routes in Railay are already bolted, making it simple to clip in and climb or boulder right over the water, where the warm waves will catch your fall. 2. Yosemite National Park, California, U.S.
Yosemite is known around the world as one of the most magical places to climb. With gigantic domes and magnificent cliffs, driving toward the park’s tunnel feels a bit like entering a different time. Thousands of climbers sweep through Yosemite’s granite each year, speaking different languages, living out of vans, tents and cabins and enjoying their sport in what’s arguably the climbing mecca of the world. And the park’s history is as rich as its climbs, including the famous Camp 4, a campsite-turned-climbing-classroom that bred some of the greatest stone masters of all time. Yosemite National Park is well worth a visit for any beginner, even if only to soak up some history and observe the greats. 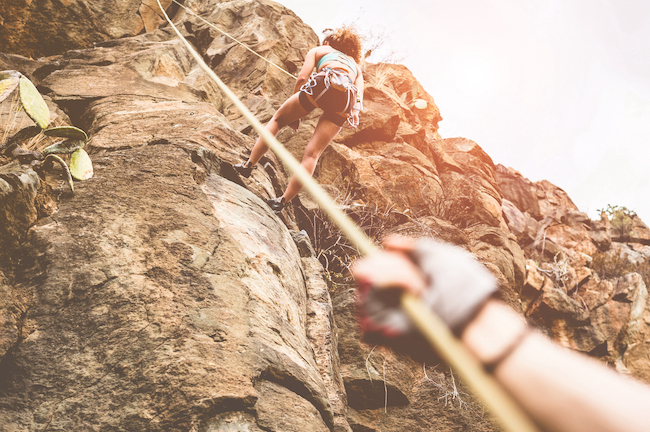 The truth is that if you’re very new to the sport, it’s typically not safe nor practical to head outdoors right away, unless you have an experienced mentor or guide. For most people just taking on climbing, it’s easiest, safest and tremendously cheaper to start in your local rock gym. Sure, it may not be as glamorous as Thailand, Germany or Yosemite, but indoor climbing is a solid way to quickly build strength, technique and a circle of climbing buddies. The local gym got #1? Seriously? you would rate hauling on plastic as the #1 place for a beginner to pick out of the whole world. And Yosemite? Which may be some of the GREATEST climbing in one place in the world ….. FOR BEGINNERS? And you don’t have Mt Arapiles on the list at all …. most definitively the best rock climbing in the world FOR BEGINNERS! and I will list why. 1) The unique quartzite conglomerate rock. Looks like sandstone, feels like sandstone, harder than granite. Instant joy as soon as you touch it. And you can climb every day for a week without it shredding your skin. 2) Probably the most valid reason, 3 star Quality climbing from the very lowest grades. From what I gather online, most places around the world most trad and sport don’t really start much below Aus grade 10, at Arapiles totally awesome climbing starts from grade 4, don’t know what that is in French or American grading systems, I’ve never seen them go that low. You want to learn trad, go to Arapiles for the best time ever. 3) Easy walk ins. From the pines campground to the bluffs, 5 min walk, and I’m old fat and slow. From the gums its 3. The tracks are established and easy to walk. access to beginner climbing only gets better when you’re talking bouldering at fontainbleau. 4) The variety. It’s probably hard to imagine, and yet everything I said about the amazing rock, and quality of easier grades, you also get most styles. Face, slab, crack, steep, traverses, chimneys …. off width doesn’t really happen until intermediate grades (18+), but what sort of sadist would put a beginner into an offwidth? Now, I know what everyone who reads this is going to think, “oh it’s his local crag, and he’s loves it, so he’s totally biased”. An yeah, as a beginner climber, leading trad up to 15/16 (5.7/8 -ish maybe?) there’s that, I haven’t been many other places. On the other hand, I have met and climbed with people from all over the world, Germans, Czechs, Italians, Americans, Canadians, Un Zudahs ….. and they all say the same thing over and over, that Arapiles is the best for low grade climbing. One American girl I met who had climbed all over the world said “Almost everywhere around the world you usually have a 4 grade sweet spot of awesome classic climbing, at Arapiles the sweet spot, is from 5 to 25”. Peter Croft told Alex Honnold that Arapiles was the best free soloing in the world, nuff said.